My Occasional Blog: What's Your Plan B? I manage my photo archive with Lightroom, currently at version 5.5. Apple's recent announcement that it is killing off Aperture, their professional level photo organizing and editing tool, is going to leave a lot of photographers scrambling to find a replacement. Apple is rolling out a new photo editing application in the latest iteration of its operating system, OS X Yosemite, aka 10.10 (due later this year). The new application will be called Photos and will merge Apple's consumer app, iPhoto and professional app, Aperture, into one and will synchronize them to the photos on your iPhone or iPad via the cloud. Apple has said Photos will import Aperture libraries but beyond that has not indicated whether or not Photos will be a feature rich replacement for Aperture or consumer level iPhoto with enhanced editing tools. This is not the first time Apple has killed off a professional product and replaced it with one that, at first glance, is significantly less robust. In 2011, Apple replaced Final Cut Pro (then at version 7) with Final Cut Pro X. At the time there was a great hue and cry that Apple was abandoning professional users (Final Cut 7 was used by some of the biggest names in Hollywood, including the Coen Brothers, who edited "True Grit" and others in Final Cut) and replacing it with what was panned as a beefed up version of iMovie. Users moved to Adobe's Premiere and Avid's Media Composer after trying Final Cut Pro X and finding it lacking. Digitally speaking, 2011 was a long time ago and Apple has worked hard to improve Final Cut and the most current version of Final Cut Pro X is a more than worthy replacement for Final Cut 7 but the damage was done and Apple lost a chunk of the professional video editing community. I don't use Aperture. I tried it when it was at version 1 (way back in 2005) judging it against Adobe's Lightroom, which was also at version 1. At that time both products were pretty immature but Aperture required high end video cards to run most efficiently and I was using Aperture in low end MacBooks. Low end MacBooks, in 2005, did not have high end video cards and my experience with Aperture was miserable so I moved my workflow from Bridge/Photoshop over to Lightroom. Although Aperture was not right for me, I always liked that Aperture was there. The competition between Apple and Adobe was a good thing and although Lightroom was continuously improved while Aperture seemed to languish, Aperture provided a real alternative to Lightroom. I thought Aperture was my Plan B in the event Adobe somehow screwed up Lightroom. The problem always was that Lightroom and Aperture are incompatible. Although the two applications are similar and do many of the same things, they do them in different ways. If I had moved my archive into Aperture, I would have lost all of my edits, collections etc. (The same thing happens if you move an archive from Aperture to LR.) That's a pretty unpleasant scenario. Imagine you have a library of hundreds of thousands of raw files. (My catalog from just two years in Bangkok has about 150,000 raw files.) That's a lot of sorting and editing to lose. My original idea, if I needed to use Plan B, was to have two archives. I would keep the last version of Lightroom with my past archive and going forward put all my new work into Aperture. It wouldn't have been perfect, but Plan B's seldom are. The big question for Aperture users at this point is what to do? Do they migrate their archive to Lightroom? Depending on the size of your archive that can be a Herculean task. Or do they wait and see how things settle? Apple is giving Aperture users a little advance warning and has promised to update Aperture to work with OS X Yosemite. That will be the last update to Aperture and likely not include any new features or compatibility for new cameras. They're also promising a path to migrate from Aperture to Photos. For its part, Adobe has already taken advantage of the demise of Aperture and is marketing Lightroom to Aperture users. If you decided to migrate your archive over to Lightroom there are a couple of places to go for help. The first thing to keep in mind, whether you're moving from Aperture to Lightroom or setting up a Lightroom archive for the first time, is to think about what you're doing and do it in an organized, logical way. For that I strongly recommend Gavin Gough's excellent Lightroom book "The Photographer's Workflow." 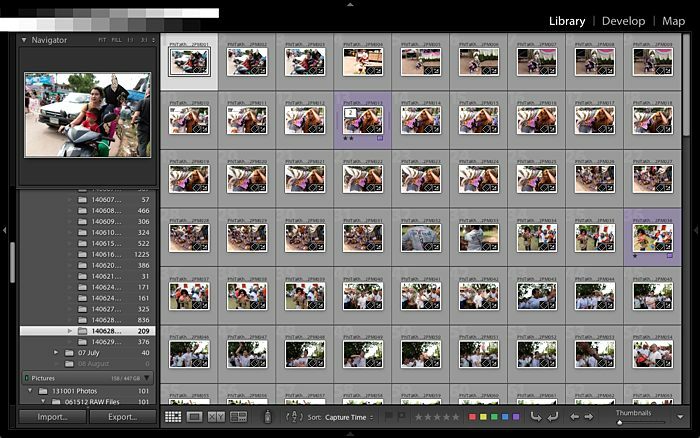 This e-book will help you set up and maintain your Lightroom library in a near bulletproof way. John Beardsworth, on his Lightroom Solutions website, has step by step directions on moving your library from Aperture to Lightroom. After you've read Gavin's book about setting up your Lightroom catalog, you should read Beardsworth's article on migrating to Lightroom. Then read it again. You're about to embark on a grand digital adventure (I'm trying to make this sound fun), so if you're not 100% certain of what you're doing, read the Beardsworth piece a third time. But do you need to migrate to Lightroom (or any of the other photo management applications like Phase One Media Pro)? That's a decision only you can make. If Aperture is working for you now, it's not going to stop working for you just because Apple is pulling the plug on it. You can continue to use it, at least in the short term and probably for another year or two (with Apple's promised compatibility for Yosemite). If you've been unhappy with Aperture and wondering what your options are, Apple's announcement should be the incentive you need to look at Lightroom and other choices. If you're a low volume photographer who mostly photographs on weekends or in your spare time, you might be able to wait and see what Photos delivers when it's rolled out some time after Yosemite is released. No one has really worked with Photos yet so we don't know what we're going to get. It's probably hoping for too much that it directly replaces Aperture and competes head to head with Lightroom but we should have an idea of its potential in pretty quick order after it's released. My iPhoto library. 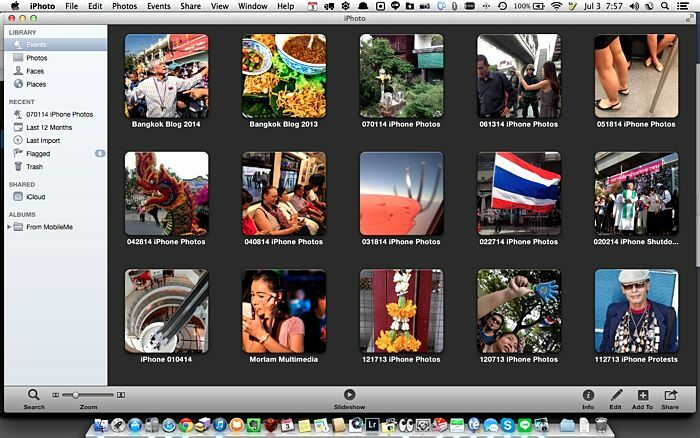 Whatever iPhoto is, it's not a replacement for either Lightroom or Aperture. It too is being killed off in the transition to Yosemite and Photos. Whether you use Aperture, Lightroom, Capture One or any of the other high and low end choices, Apple's announcement should serve as a wake up call. It's not practical to maintain two libraries in two applications but you owe it to yourself to think about your choices and how you would migrate your photo archive to a new application if you needed to. In my case, I need to think about what my Plan C is since Apple has taken Plan B off the table.